Every day, biologists in parkas, raincoats, and rubber boots go into the field to capture and mark a variety of animal species. Back in the office, statisticians create analytical models for the field biologists data. But many times, representatives of the two professions do not fully understand one anothers roles. 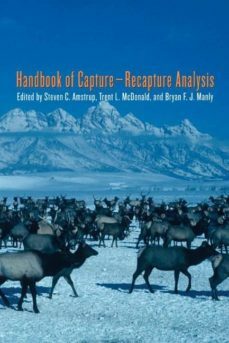 This book bridges this gap by helping biologists understand state-of-the-art statistical methods for analyzing capture-recapture data. In so doing, statisticians will also become more familiar with the design of field studies and with the real-life issues facing biologists.Reliable outcomes of capture-recapture studies are vital to answering key ecological questions. Is the population increasing or decreasing? Do more or fewer animals have a particular characteristic? In answering these questions, biologists cannot hope to capture and mark entire populations. And frequently, the populations change unpredictably during a study. Thus, increasingly sophisticated models have been employed to convert data into answers to ecological questions. This book, by experts in capture-recapture analysis, introduces the most up-to-date methods for data analysis while explaining the theory behind those methods. Thorough, concise, and portable, it will be immensely useful to biologists, biometricians, and statisticians, students in both fields, and anyone else engaged in the capture-recapture process.